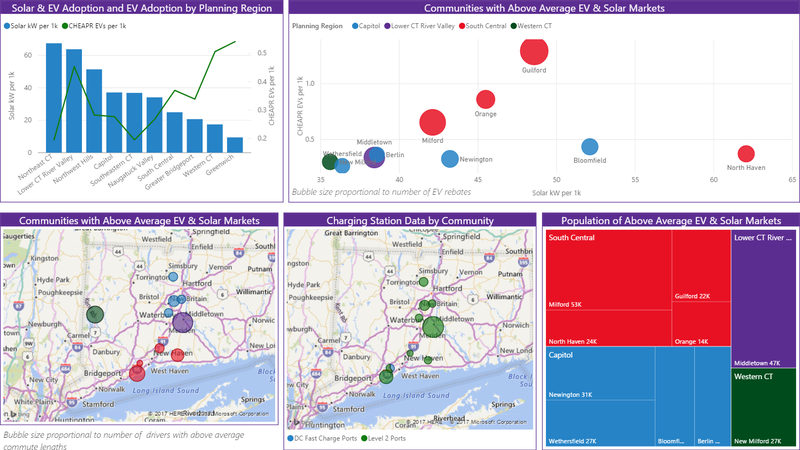 The Transportation Electrification Toolkit helps Connecticut municipalities develop strategies to encourage transportation electrification through the pairing of electric vehicles and residential solar photovoltaic systems and electric shared-use mobility solutions. 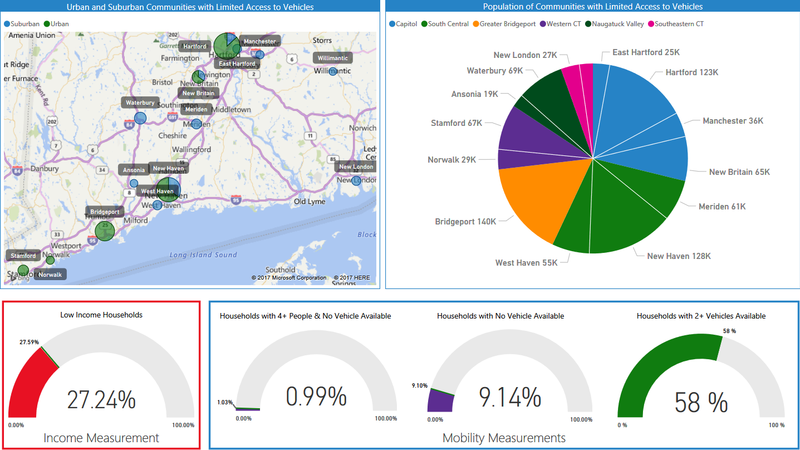 The toolkit consists of summaries of each transportation electrification concept, a case study of the concept from outside Connecticut, and potential approaches to deploy the concept for policymakers. 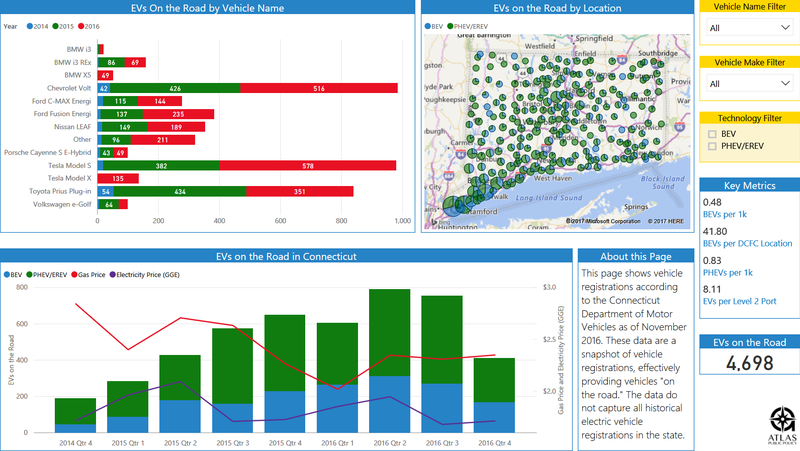 The toolkit also consists of a resource library and interactive data dashboards that provide quick access to relevant information on transportation electrification in Connecticut. 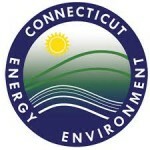 The toolkit is a joint effort of Atlas Public Policy, Connecticut Green Bank, and the Connecticut Department of Energy and Environmental Protection. See below for a description of the initiative. The data used in the toolkit was last updated in April, 2017. The latest available date may be from earlier, depending on availability. For example, the EV registration data is from November 2016. 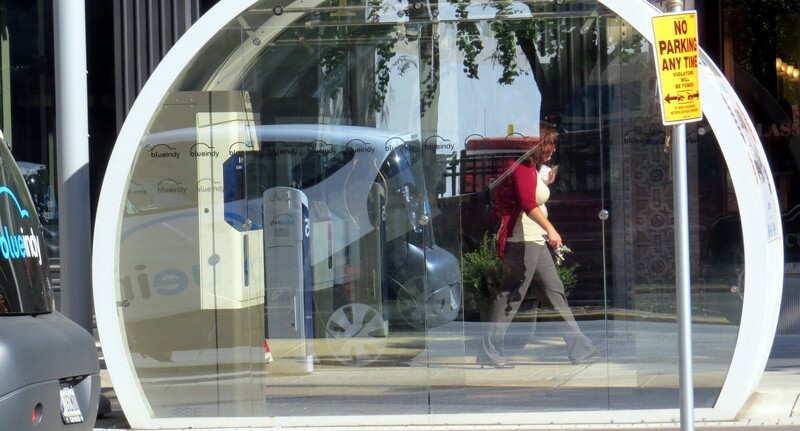 EV shared-use mobility programs can capture the economic and environmental value of zero emission technology. 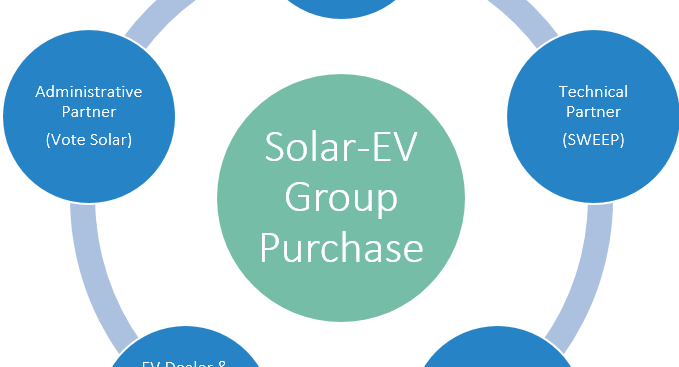 An EV-Solar Purchase Program encourages the combined use of solar PV technology and EVs. 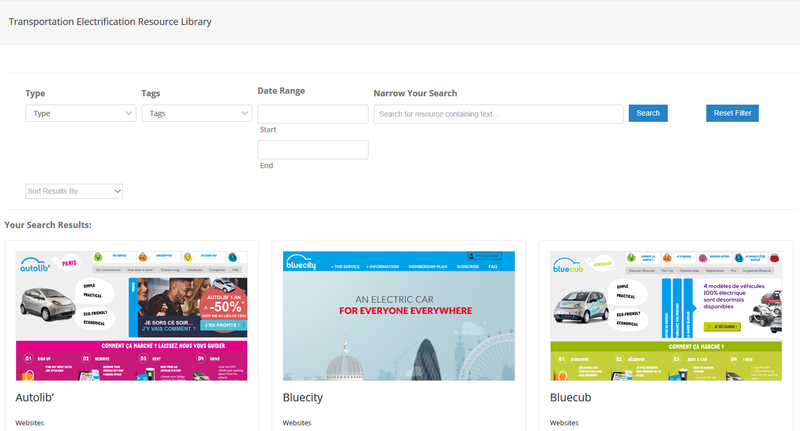 Download the raw data on geography, shared-use mobility, etc. In 2016, Atlas Public Policy began working with the Connecticut Green Bank and the Connecticut Department of Energy and Environmental Protection on the Green Bank’s strategy to accelerate alternative fuel vehicle deployment in the state. Atlas began with a market potential assessment of various alternative fuels and vehicles tailored to local conditions in Connecticut. Atlas then identified promising electric mobility concepts, including electric vehicle shared-use mobility, the pairing of electric vehicles and residential solar, and high-powered electric vehicle charging infrastructure. Atlas evaluated the suitability of these concepts as part of a strategic planning process for the Connecticut Green Bank to help the Green Bank define its role in growing the alternative fuel vehicle market in the state.